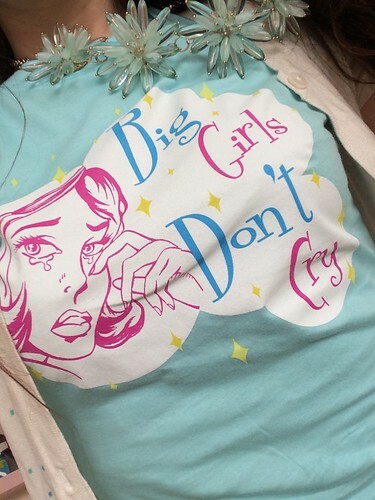 t*rexes and tiaras: Big girls don't cry..
A bit of a mish-mash outfit. I'm not sure that I actually like it anymore, now I've seen the photos. I picked the tee up in Las Vegas. Whilst I was staying there, the show which was being promoted in my casino was Jersey Boys. I've seen it before, so didn't go again, but did treat myself to a tee as a memento. 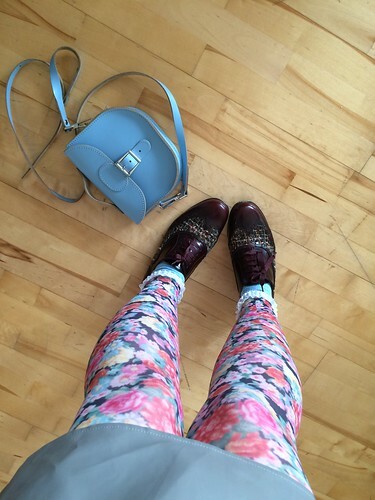 The rest of the outfit really was just thrown together, starting with the fact that I'd rediscovered these floral tights and wanted to wear them. I wore lace ankle socks a lot with trainers whilst I was in America and actually quite liked the effect so thought I'd try them with my brogues, which I'm wearing a lot lately. The floral necklace was thew other thing I picked up from the New Look sale just before Xmas, along with my milkshake clutch bag. 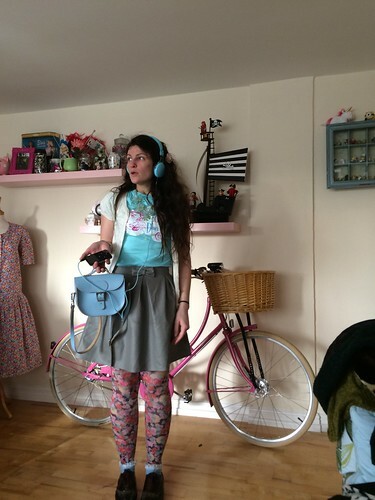 And I've not used my blue Brit-stitch satchel for a while, so decided it was high time it had another outing. I've been getting so much use from my headphones since they arrived, too! 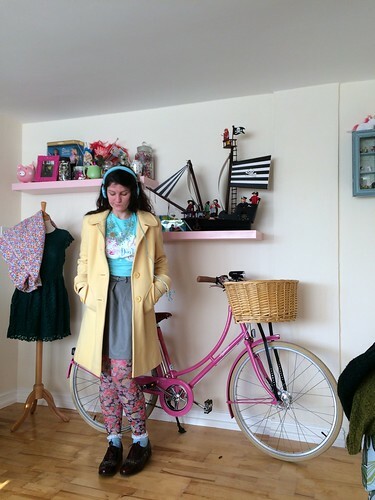 Love your coat and floral tights! Thanks -a bit of a mish-mash but hey ho. I'd almost forgotten about mine! This is one of my favourite songs. It always hits home with me. So colourful Char - miss you! Thanks :) I miss you too! It's going to be such a perfect coat for spring! Thanks, I've actually been quite surprised at how much wear I've already had from them. Love that t-shirt. Proper awesome! And the shape of the skirt is fab - looks like it retains its shape really well. Thanks - it's a cute skirt but I don't know if it sits a little high on me?